If being copied is a sign of being into making something right, what does it mean that someone copies the copy of your design? This is the question that I am asking myself since the moment I yesterday discovered people here (Bangalore, India) making copies of copies of Arduino boards. Let me explain this at once: the Arduino boards are cheap for Europeans and Americans, but no matter how cheap the production is in the EU, importing them to India – where I am these days – makes them slightly more expensive to the final user. An average undergrad from an engineering college will make here in India the equivalent to €500 as a starting salary. Some might make it to €700. This is when working for an average sized company, not when entering one of the big ones. I got this information from a professor at Srishti School of Arts and Design, in Bangalore. €500 is at the edge of what is needed for a person here to live independently, therefore many undergrads end up living in dorms or at their parents by the time the finish school while getting a better pay. Having that in mind, an Arduino board here costs the equivalent to €22 (it is cheaper than in Europe), which is 1300 Rupees. Knowing the cost of life, €22 might sound just at the edge of what is reasonable here, but still it is so much cheaper than alternatives by other manufacturers due to the lack of side costs (documentation and software are for free). It is a fact that manufacturing a board in the EU has some extra expenses attached since we need to fulfill some environmental and EMC regulations that other countries don’t really have to. 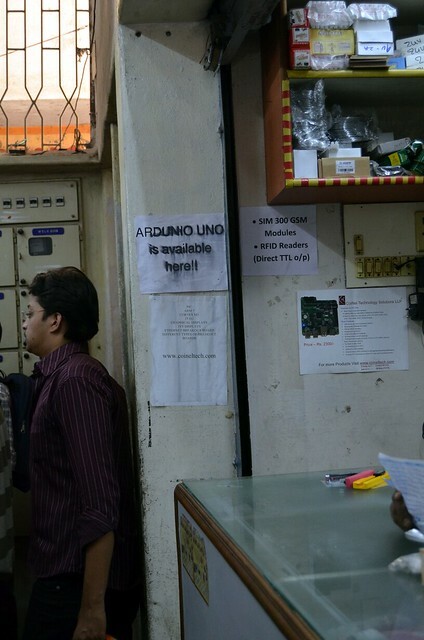 For an Indian local company, manufacturing an Arduino Compatible board, will cost more than to the European manufacturer, however, the money they save in terms of security measures and shipping makes their margins be just enough to justify making boards locally, even if they have to call them something else (Arduino is a Trademark). It is possible to find one-generation-old Arduino Compatible boards for a little less than the originals: 1240 Rupees … this is something like €1 cheaper than the original. 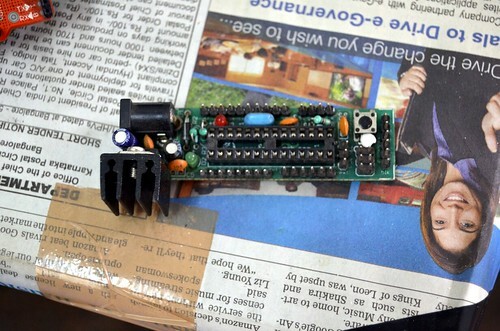 The way these derivative boards are made is by making the PCBs in China – there are no good small size manufacturing facilities in India – and mounting the components by hand at tiny local shops in the market of Bangalore (though there is a move towards getting small sized pick and place machines what will speed up the process). Turns out that one of those small shops realized that they were selling a lot of both original and derivative boards. They were getting the machine mounted boards from Italy, but also the PCBs to mount from the local retailer … so they thought that they could bypass both parties and make a copy of the copy! And so it goes, in Bangalore it is possible to buy Arduino Uno original boards (the latest ones with all the special software like transforming the board into a computer keyboard or a MIDI device), Arduino Duemilanove compatible boards (a copy with a processor half as powerful as the previous one) and Arduino NG compatible boards (a copy of the copy with a processor that has been discontinued from the Arduino line due to its age). The local store has all the three and they range from 900 to 1300 Rupees with taxes. For those prices the resellers in India will add a USB cable and a CD with Arduino’s IDE to the package. As I told my relatives over the internet: as a designer knowing my/our thing has been copied, is a sign of me/us making something right. As an academic, I went on, I figured out a way to disseminate knowledge in a pretty viral way. The engineer at that small shop is probably paying his kids’ school and medical service thanks to my design, not having to care about doing anything illegal, since he is allowed to copy it, how good do you think that feels?